Many people install some kind of jog or shuttle wheel into their cars. 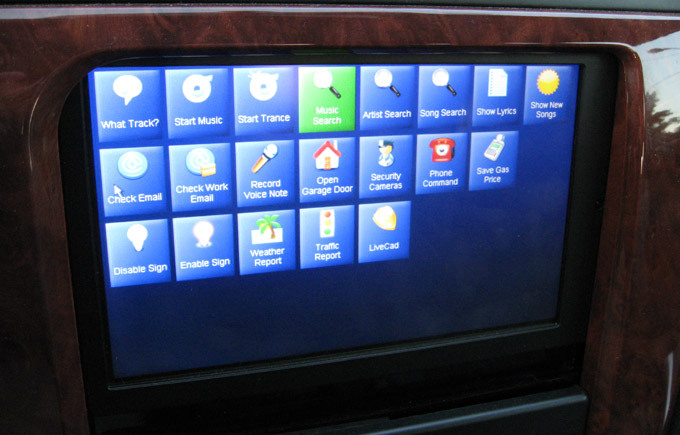 Even BMW's come with this type of controller as standard (they call it iDrive). Some prompting from a friend made me decide it was a good idea for my car. There are a few choices out there for jog wheels. A popular one for Car PC enthusiasts is the Griffin iMate, which has left/right jog as well as a single pushbutton. 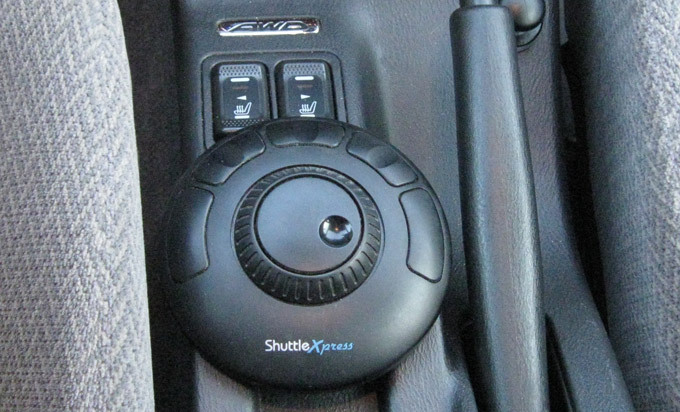 However, I already owned the Contour ShuttleXpress, and I decided it fit well into my car. I also upgraded my software to support the shuttle in nearly every part of it. I can now scroll through menus, select items, and change settings simply by using the shuttle. This comes a lot more naturally than using the touchscreen. I've also assigned the buttons to do things like select items and pause/unpause the music. In this photo, you can see the green item as the one that is 'selected' by the shuttle.